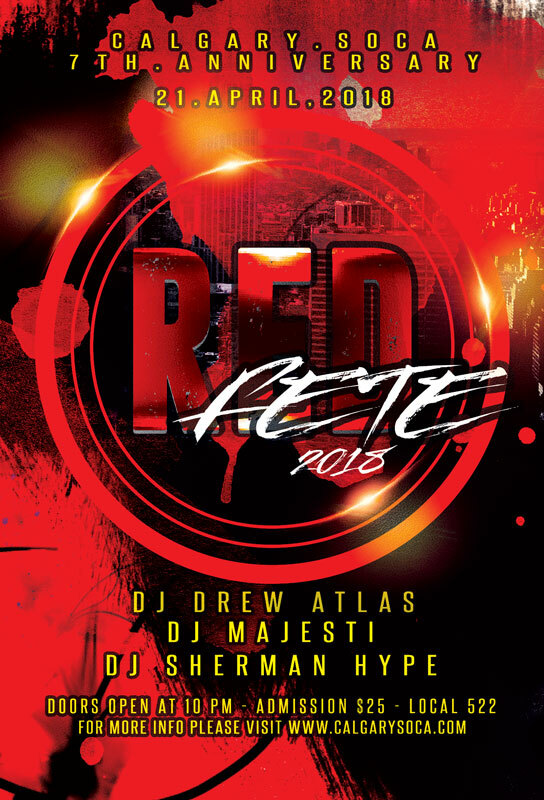 RED 2018 - The anniversary fete! 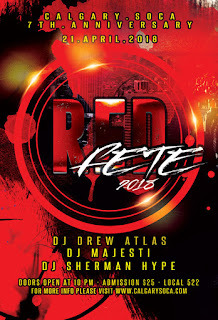 Soca music lovers, its time again to 'Paint the town RED'! CalgarySoca's anniversary celebration returns to Local 522 on Saturday April 21st 2018. Party to the latest and best Soca music alongside Drew Atlas, DJ Majesti, Sherman Hype, and the rest of the CalgarySoca crew. Complimentary Champange, Favours, Cake and more with an advanced ticket.